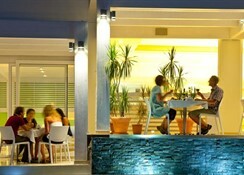 Lindos White Hotel and Suites is situated just 200 meters away from the beach in the popular Vlycha Bay. 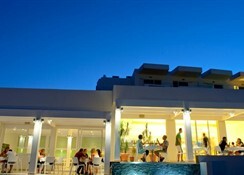 A four-star hotel, Lindos White Hotel and Suites has 2 inviting pools, 2 bars serving exotic drinks and a restaurant. Guests can spend some quiet moments with friends and family here. A plush tennis court makes up for some sporting fun. Lindos White Hotel and Suites is housed in a beautiful whitewashed, island-style building overlooking the sparkling Mediterranean Sea. Guests can also visit the ruins at the Lindos Acropolis. 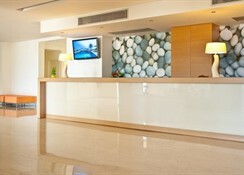 There are plenty of beautiful beaches in Lindos and this hotel is an excellent stay for those seeking some beach fun. Lindos Beach is a lovely, sandy beach at the foothills of a pretty village by the same name. It gently slopes into the sea and the sands are soft to leisurely walk about. It is very popular with tourists and towel space is scarce, but don’t leave it easily if you manage to get hold of a sun lounger. There is an outlet providing exciting watersports like snorkeling. The famous ruins of Lindos Acropolis are just at a distance of 5 km from here. These ruins showcase the renowned Relief of a Rhodian Galley. The plush hotel is at a distance of 4 km from the Vlycha Beach. 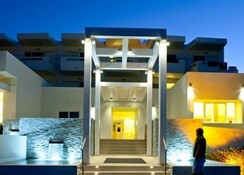 The bus stop is located at a distance of 328 feet from the hotel and the guests can travel to Lindos Town at 2.2 miles. The old town of Rhodes is also quite near at 30 miles from here. 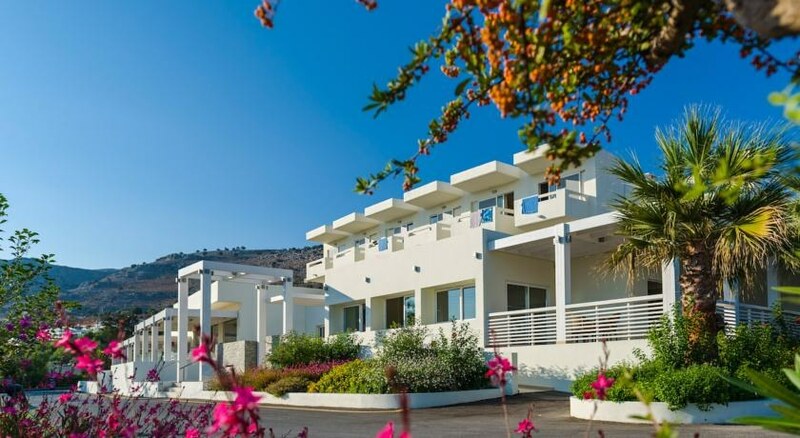 The best way to reach the property is via Rhodes International Airport at 33km from here. Guests can relax in the minimally decorated by streamlined rooms equipped with flat-screen TVs. One can also find mini-fridges and balconies here. The upgraded rooms offer sea views while the suites add separate living areas. The rooms are decorated in a light color and feature a balcony with garden views. The private bathroom offers a hairdryer and complimentary toiletries. 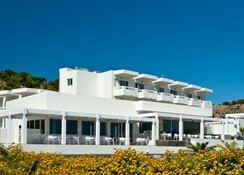 Lindos White Hotel and Suites serves breakfast in a plush buffet restaurant. There are 2 poolside bars for refreshments, snacks, ice-creams, coffees and alcoholic drinks. The kids can entertain themselves at the kid’s playground here. A TV lounge in the hobby is the place to chill. Guests can also enjoy some sports like tennis and billiards here.